My head hurts. I’ve been up since early this morning madly covering the royal birth. I mean, it’s a MUST when you’re editing a parenting/entertainment site, right? After I posted at 6am that the baby had arrived, I thought, phew, job done – might pop off to the gym. And then I was like … hang on! I’m SO not done. And the next six hours disappeared down a rabbit hole of all things royal. The story was updated during the night and then the iVillage team rose in the darkness before dawn to discover we had a new royal baby! Nice huh? And we included all the details on the birth in a post called “It’s a boy for William & Kate” as well as a gallery of 49 photos of the happy couple since their wedding in 2011. We also compiled a special Royal edition of iGossip, filled with fun stuff like a flashback of Prince Charles announcing Prince William’s birth, details on the luxury birthing suite Princess Kate is staying at, 10 gifs that sum up how excited we are about the royal birth, the first (fake) pic of the royal baby and the bizarre and intrusive royal birth tradition that Kate thankfully escaped. Click here for all the details. But the most fun we had during the wait for the royal bub was following @Queen_UK on Twitter. The parody site posted gems such as: “Text from Catherine: “Get me on some bloody intravenous gin!!! (ma’am)” Read more here. 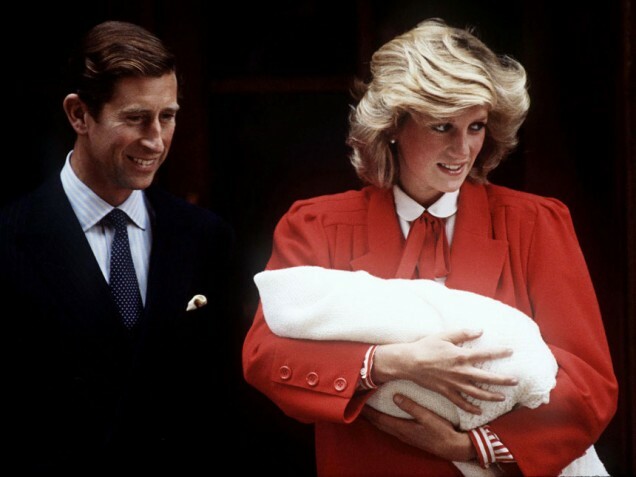 I wrote about how proud Princess Diana would have been to become a grandmother for the first time today. Read what royal watchers had to say about it here. We recalled the moment we met our own little princes and princesses in a real-life gallery, plus we included a gallery of real-life photos of birth to celebrate the moment Prince William would have seen his son for the first time. See them both by clicking here. PS That’s me with my daughter above. Ooooh, I’ve just managed to insert a picture of myself in a post about the royals. Cool! Here are 14 Cute & Crazy Ways To Commemorate The Royal Birth. You’re welcome! We’re particularly fond of these bibs. Need a little more Royal retail therapy in your day? Take a look at 14 Ways To Treat Your Bub Like a Royal. So, where do you stand on the royal birth – big yawn or oddly thrilled? This entry was posted in LIFE and tagged ducches of cambridge, duchess of cambridge, royal birth. Bookmark the permalink. Ha! Loved the pictures the most.